Today I have a special review. Why is this special? 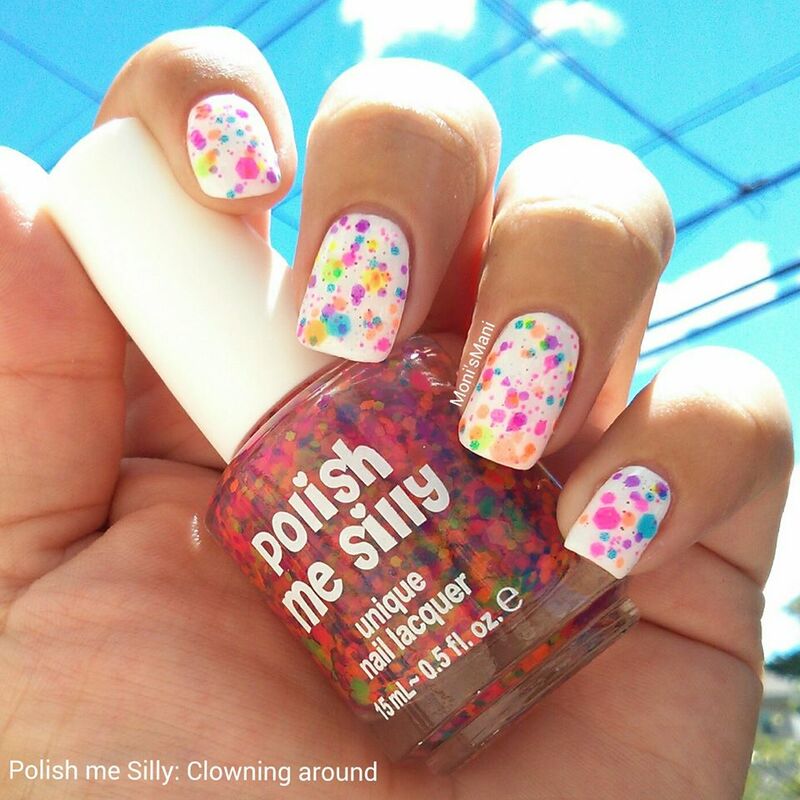 Well because these polishes from Polish me Silly are fun like no other! The kind that makes you smile immediately and fills you with energy! 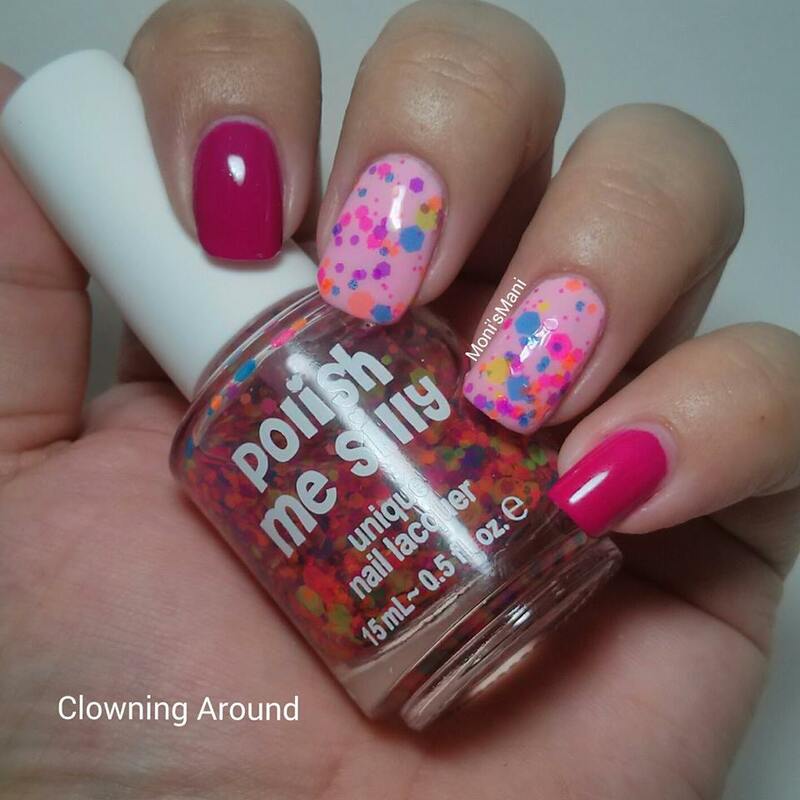 Have you ever tried polishes like these before? Well not me! I have to say this is the first time and it almost seems silly to describe a polish like this but it’s true! 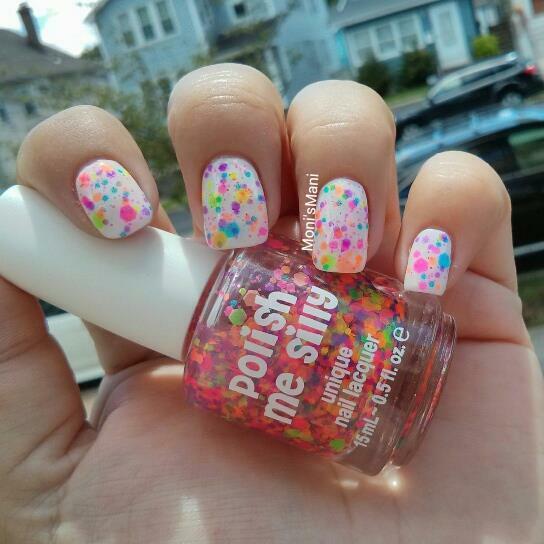 These polishes are fun and colorful and make you wanna celebrate. 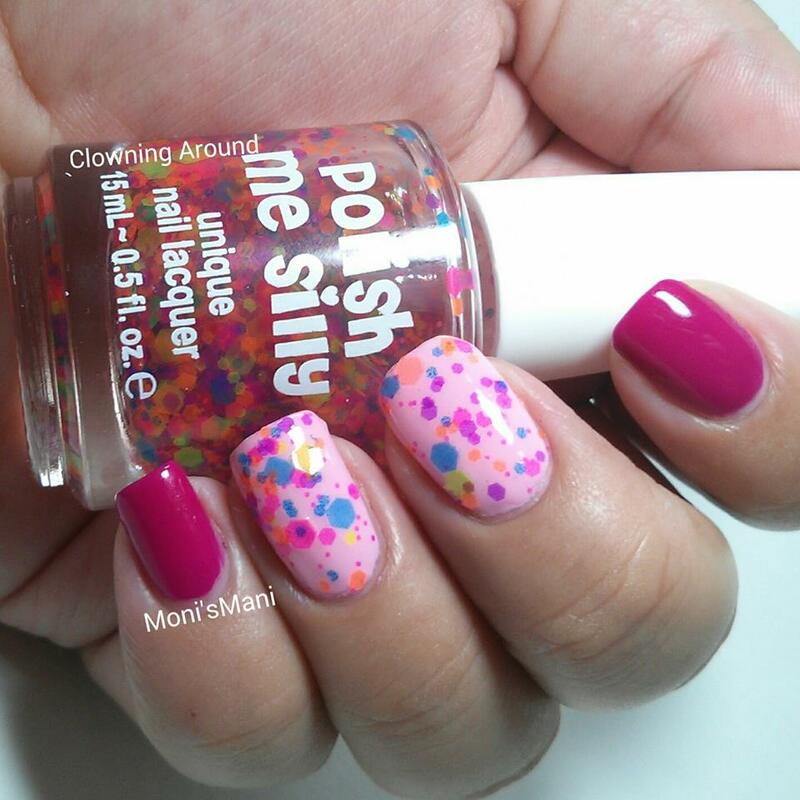 They are the perfect “party” mani polishes. First up is Eye Candy- This topper looks amazing over white and it’s full of neon hexagons, strings and stars. 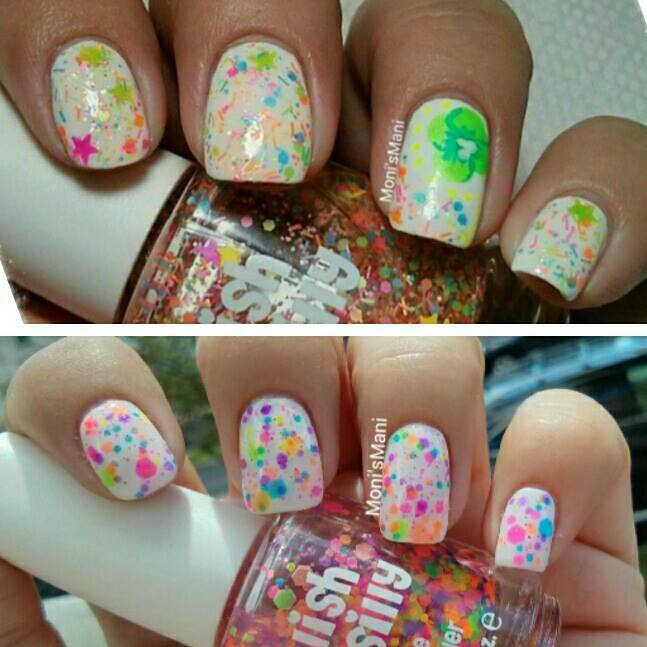 Even though it might look a little busy, this topper is surprisingly smooth on the nail, easy to apply, no need to move the glitters around and not goopy. a definitely win! 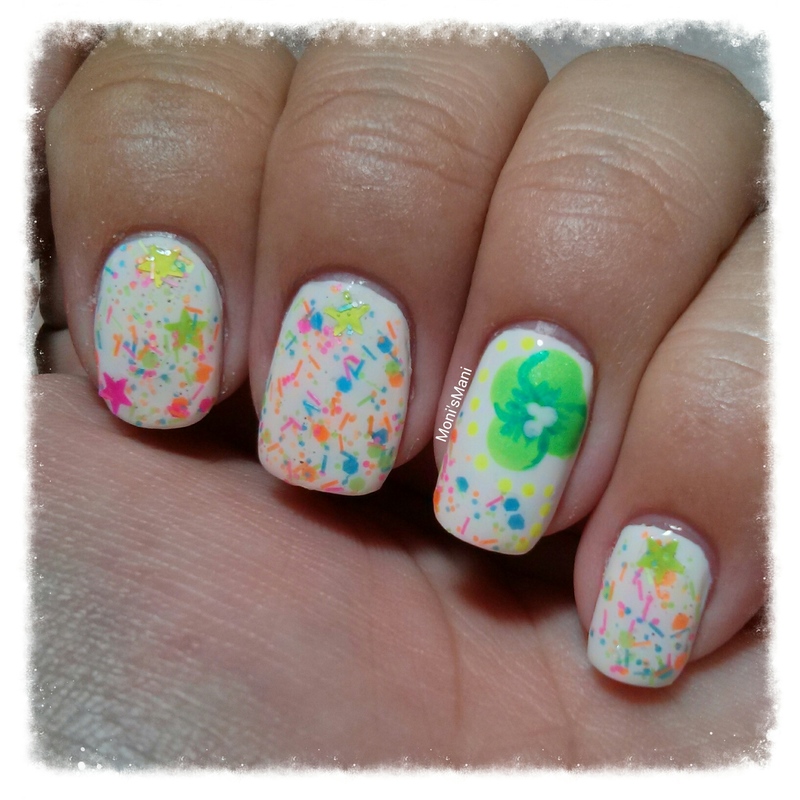 I decided to add a simple neon flower to the swatch just because I wanted to give it an extra touch. Clowning around- For my first swatch, I decided to put this topper over white. 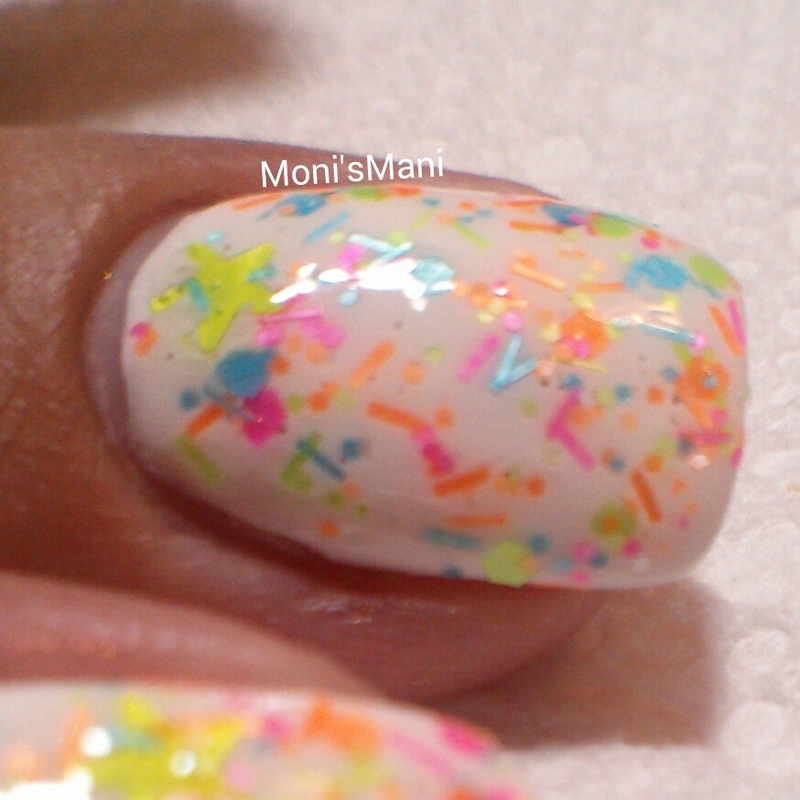 This totally reminded me of vanilla ice cream with sprinkles! so much color on this topper, loved it!! And here it is swatched over pink, I have to say I love it both ways! 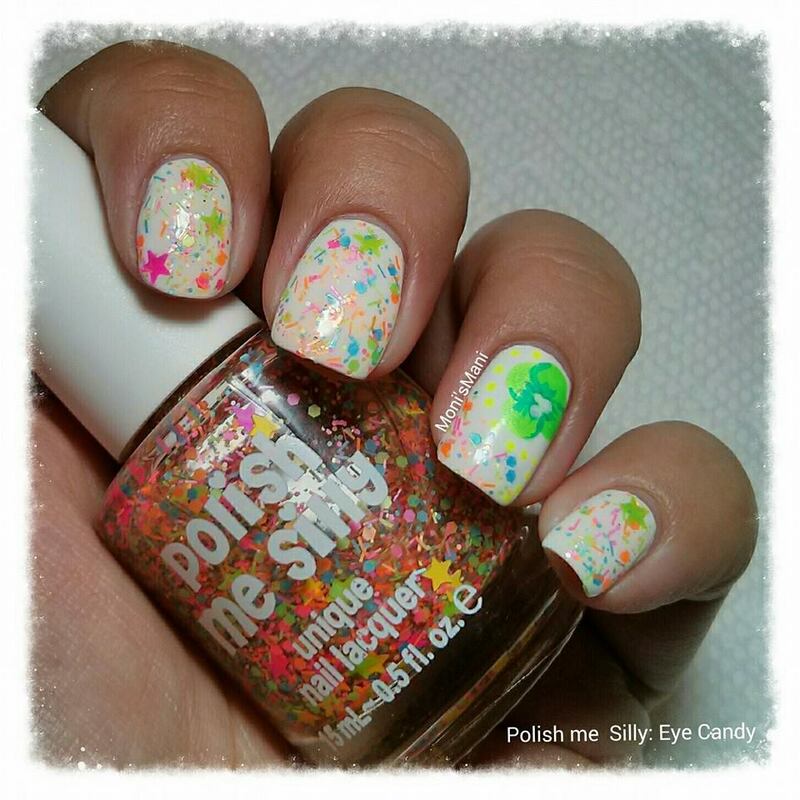 I’d like to thank Karyn from Polish Me Silly for giving me the opportunity to swatch for this amazing brand. I really appreciate it! Dan mucho juego y para estos tiempos estan geniales! Los neon ahora se llevan mucho!